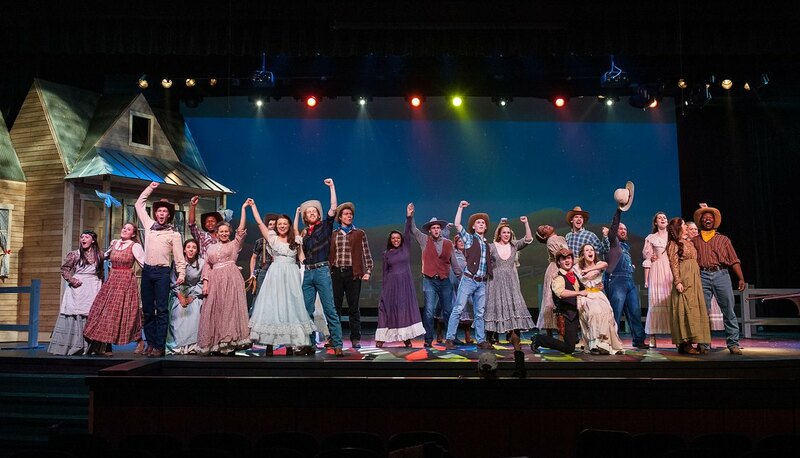 Belmont’s musical theatre program was recently named the 2015 winner of The American Prize in Musical Theatre Performance for the fall 2014 production of “Oklahoma!,” conducted by Jo Lynn Burks and led by program coordinator Nancy Allen. The ensemble was selected from applications reviewed last fall from all across the United States. The American Prize is a series of new, non-profit, competitions unique in scope and structure, designed to recognize and reward the best performing artists, ensembles and composers in the United States based on submitted recordings. The American Prize was founded in 2009 and is awarded annually in many areas of the performing arts. Winners of The American Prize receive cash prizes, professional adjudication and regional, national and international recognition based on recorded performances. In addition to monetary rewards and written evaluations from judges, winners are profiled on The American Prize website, where links will lead to video and audio excerpts of winning performances. The American Prize grew from the belief that a great deal of excellent music being made in this country goes unrecognized and unheralded, not only in our major cities, but all across the country: in schools and churches, in colleges and universities, and by community and professional musicians. With the performing arts in America marginalized like never before, The American Prize seeks to fill the gap that leaves excellent artists and ensembles struggling for visibility and viability.